Working life has been changing. Everything gets faster and more flexible. That is why businesses, which are agile and able to react and adjust, are necessary. When it comes to business and the courage to break new ground, farsightedness is essential. 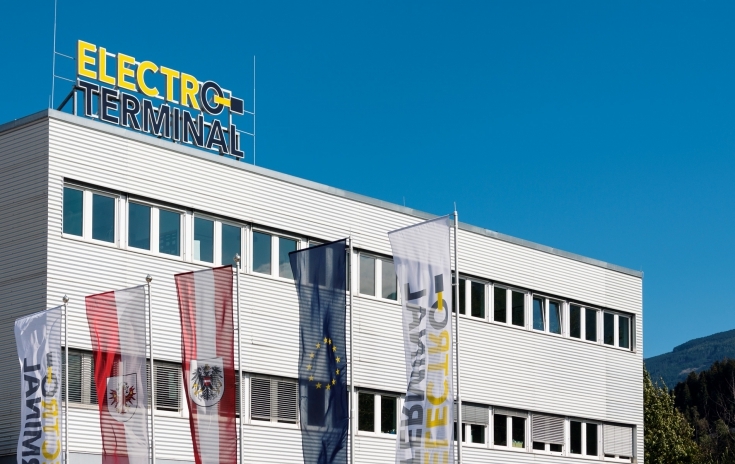 Electro Terminal develops, produces and sells electro-mechanical components and systems for the lighting and household machine industries as well as the installation technology. With great success: Today Electro Terminal delivers to more than 60 countries worldwide. The enterprise was founded by Dr. Walter Zumtobel and Ferdinand Rojkowsi in 1964. In 1972 they moved to their location to the Archenweg. 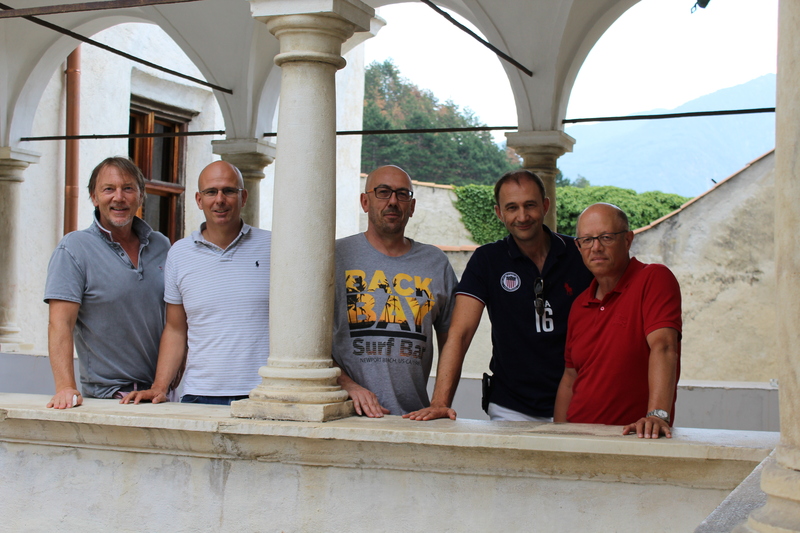 An eventful history followed, which led to a management-buy-out by the local management and the logistic partners of AFS in 2014. Even before that, the two enterprises had worked closely together. Amongst other things, AFS had been assisting with running the warehouse for Electro Terminal, since they had run out of space at the Archenweg. The cooperation between Electro Terminal and AFS has existed for decades. Besides the high level of professional competence, it is also the working system that has been decisive. “AFS acts as service provider in the field of logistics in the system of Electro Terminal. This means that no additional interface is required and that there is a smooth flow of everything”, summarises Spiegl. “In our experience it has proved to be of value to play by the rules of our customers in the choice of the system. This way we avoid unnecessary cost and time expenditure for our daily operative business”, confirms Martin Köcher and Johann Start, the owners of AFS. “Otherwise our customers had to work with hundreds of different systems. This is not constructive. That is why we at AFS have always placed great emphasis on a tailored IT-infrastructure. Our business is not only about organising the flow of goods, but the key moment is the service before, during and afterwards." AFS works individually, transparent and always with the best solution for its customers. This way a tailored service can be offered at a fair price. The cooperation with Electro Terminal shows another advantage for customers: Even though logistics are carried out by AFS, Electro Terminal remains the only contact partner for its customers. A fact that has been convincing from the very beginning. The still owner-managed AFS stands for trustworthiness and fair dealings – virtues which are a must for such an intensive cooperation with Electro Terminal. As well as maximum customer orientation, the question of the location unifies the two businesses as well. “AFS is a Tyrolean enterprise and should stay that way in the future. Thanks to continuous investments we strengthen the location and also give our employees the security to be a reliable employer.” This is the way Electro Terminal sees it. That office employees were taken over has made the decision to outsource some processes a lot easier. “We have been extremely lucky to be able to integrate the know-how of our partner directly in our own business with the management-buy-out and the close cooperation with AFS”, explains Spiegl. AFS profits especially from the close relationship Electro Terminal has with the industry and where it has subsequently been able to gain ground. Many renowned Tyrolean (family) businesses could be won as new customers and the market penetrations increased.